Cromer Campus P&C in conjunction with the Band Committee are hosting this year’s Federal Election Day Cake Stall and BBQ. Please register your interest in assisting by using the following link. Our next P&C Association Meeting is on Tuesday 14th May at 7pm in the school Library. We would love to have input from our Parent Community, so hoping you are free to join us. Agenda to be published soon. A big thankyou to all the volunteers who either gave up their time to help out on the day or baked. The day was a big success for the school and a great way for the Cromer Community to come together. The School Open Day was a huge success with a record turnout and great feedback from parents, students and even other schools in the district. 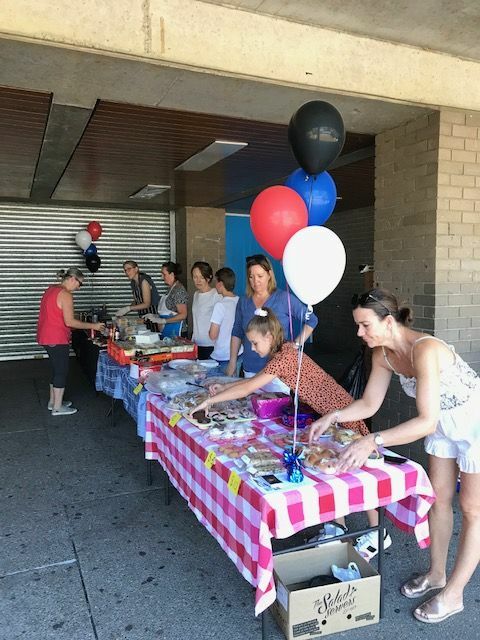 The P&C provided a sausage sizzle which served over 620 people. The school grounds are looking great and the students are enjoying the new benches that the P & C recently had installed. However, the school still needs some work to be looking its best and that’s where you can help. Water and lunch will be provided on the day, along with a great chance to meet other parents in the school community. Come for a short time or the whole time, all help is valued. Please note that due to liabilities, no children please. Meet the Principal at 4:30pm, 5:30pm and 6:30pm followed by student led Campus tours. Connect with parents , teachers and students in our curriculum marketplace, while also savouring our P&C BBQ. Parents of existing students who would like to help can register their interest at the following site. We are inviting all parents, friends and the local business community to join the principal and teachers at our popular golf day to support your local high school. It is a great opportunity to play the magnificent Cromer Golf Course in a fun and casual setting. Join us on the 13th of November for the 9-hole team Ambrose and a sit down dinner; or for the non-golfers, you are welcome to just come for the dinner. New outdoor furniture has been bought and installed by the P&C with the money raised from last year’s Golf Day. Installation was achieved with the help of students who formed up and poured the concrete slabs. 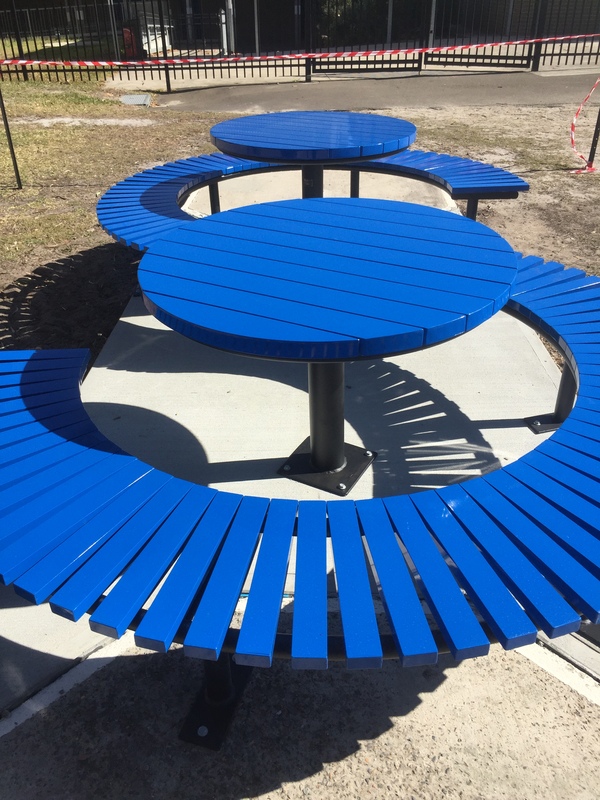 The furniture replaces old deteriorating equipment and I’m sure you’ll agree looks great and has been really appreciated by teachers and students. This is a big term for the P&C and we need support from as many parents as possible.